Ronnie was born on August 7, 1946 in Hamilton to Mendal and Elsie (Eliton) Robinson. He attended New Miami High School Class and graduated in 1965. After high school, Ronnie joined the United States Army, served during the Vietnam War, and was wounded and awarded a Purple Heart medal. After returning home, Ronnie joined the St. Clair Township Police Department as a Police Officer. 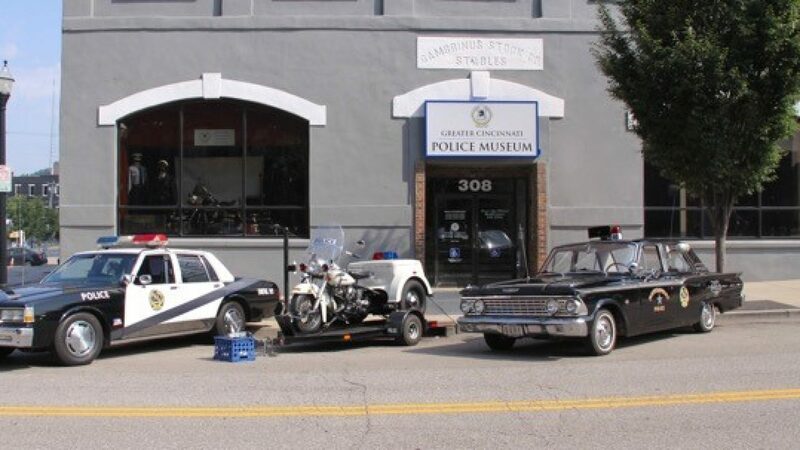 Officer Robinson was also employed as a machinist and retired from Armco. He was a member of Washington Lodge #17 F&AM, Middletown Moose, and Veteran of Foreign Wars, Chuck Cain Post #7670. Officer Robinson passed away on Saturday, March 30, 2019, at his residence. He was 72. He was predeceased by three siblings, Mabel Parker, Bobby Robinson, and Kenny Robinson. Officer Robinson is survived by his wife Pearl Robinson; children, Chris (Holly) Robinson, Josh (Carrie) Robinson, and Jennifer (Robert) Hummel; grandchildren, Cody (Lacy) Robinson and Haley Robinson, Levi, Regan, and Tatum Robinson, RD, Rocco and Robinson Hummel; great grandson Foster Robinson; and sister Sherry (John) Watkins. A visitation will be held on Wednesday, April 3, 2019, from 6 to 8 p.m. at the Webb Noonan Kidd Funeral Home. A funeral ceremony will be held the next day at 1 p.m. on Thursday, April 4, 2019. Interment will follow at Hickory Flat Cemetery. Memorials may be made to the Wounded Warrior Project PO Box 758517 Topeka, Kansas 66675.